the $Content variable with $ElementalArea in your page templates, and rely on the markup of the individual elements. 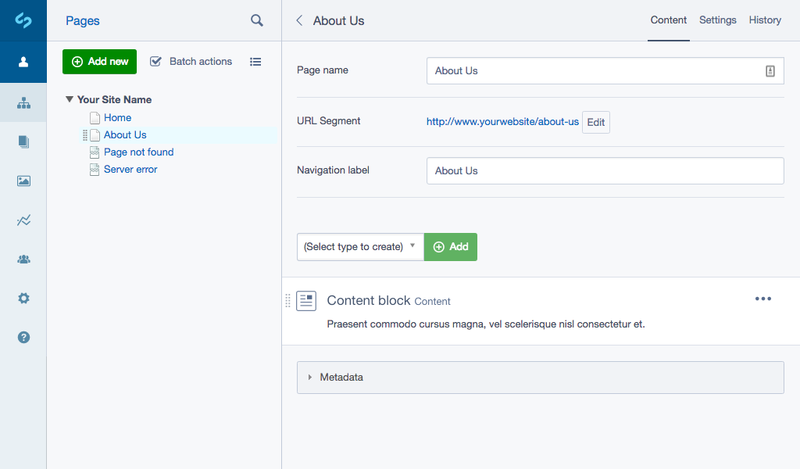 replacing the standard Content rich text field. you can define an "empty" page type and assign the extension only to this type. the element contained within a holder div. The wrapper div is the ElementHolder.ss template. module which helps to achieve this. database and reload the CMS. element class. A GridFieldDetailForm will be used to edit blocks that are not in-line editable. Alternatively as the CMS element editor is now React driven, in-line editing functionality can be added to by defining your own React components. template can be done via YAML, or by using a $controller_template on your subclass. structure (PHP class namespace) to ensure that your new template version takes priority. possible, we encourage you to follow this naming system. (class: 'Description'). The class will be added to the ElementHolder. various default element types for the front-end website. this index in your search engine to ensure that a page's elemental area content is indexed under the page's data. Note: If using this indexer, be aware that HTML tags will be stripped from the content before it is indexed. SolrIndex::search for more) to display the relevant search matches. globally in your command line. and use an appropriate variable from the silverstripe/admin module if available. the public API for this library. overriding methods then please test your work before upgrading.